In fall of 2005 I took my first trip alone to visit my grandmother. We were taking a walk near the Quaker Meeting House when I saw her dog curiously sniffing a folded paper. Upon investigation I found this! And, to my great pleasure, about 100 feet down the road was another small note, this time a grocery list. 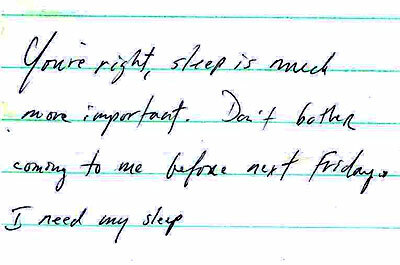 Both were written in the same casual handwriting and on the same pocket notebook paper. For the rest of our walk we searched for more treasures, but were unsuccessful.